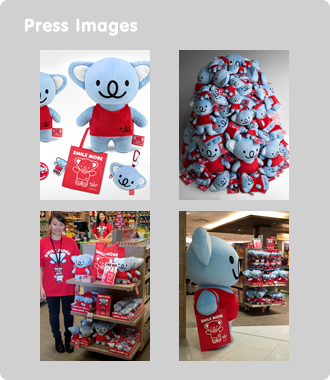 Smiling Bear is a cute koala character brand from Sydney, Australia that celebrates a fun, feel-good attitude to life. It’s message is simple, Smile More with Smiling Bear. This philosophy is expressed through our designs, messages and everything we do. We are passionate about sharing this message, and we hope you will be too. 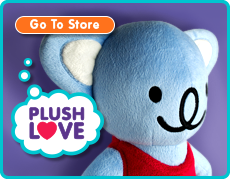 Smiling Bear has several licenses in place, and is working to develop the brand in key product categories, with retail and manufacturing partners both in Australia, and other territories around the world. Smiling Bear was created by Guy Paterson. He likes to draw and create stuff, and has worked in the art & design industry forever. Guy is originally from the UK, but now calls Sydney home, and is an Australian citizen. What’s The Idea Behind Smiling Bear? Upon arrival, Guy was totally inspired by the relaxed Australian lifestyle and positive outlook. It was this feeling that he wanted to capture within his character creation. Koalas are adorable, and provided the perfect starting point. Next came the unique smile – 2 dots and squiggle. Then the name. Koalas are not bears. There was something memorable about this common confusion, ‘Smiling Bear’ was perfect. What’s So Important About A Smile? Koalas in the wild face the threat of extinction due to continued loss of their natural habitat. The Australian Koala Foundation (AKF) is the principal non profit organisation dedicated to the conservation of the wild koala. Smiling Bear is actually a koala, so it seemed only cosmically conscious to get involved. As an Australian owned character and company, Smiling Bear will be supporting the AKF by donating a percentage of profits and helping to raise global awareness for the koala and it’s protection. If you would like to link to us, simply insert a hyperlink to http://www.smilingbear.com on your site. Before downloading these images, please read the image usage agreement on our legal page. The following images and logos must not be altered in any way. All images download in a folder (zip). 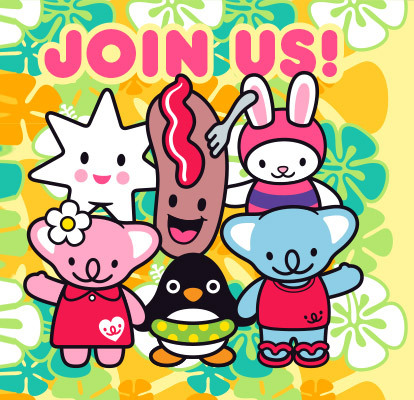 For Facebook, Twitter and our Newsletter, see the panel on your right, 'Let's Be Friends'.